Our human organ structures are acknowledged for the properties like non breakable, light weight, portable structure and well polished in natural color. These models can be easily mounted on the wooden board on the wall. 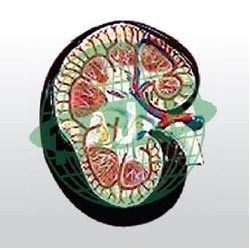 For easy understanding the kidney parts, we also provide medical charts. 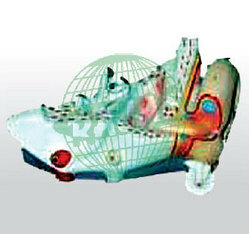 Flower Model on stand showing very correctly details of all the structures. Dissectable in seven parts on stand. We offer range of models made of fibre glass or PVC material which is non breakable type light weight easy to handle naturally coloured, fixed on wooden board with key charts. 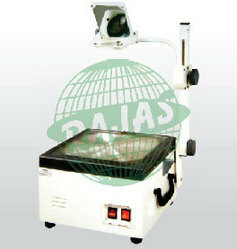 Specifications re-model b working stage 285 mm x 285 mm optics three element lens (315 mm) condenser system mirror coated fresnel condenser cooling system axial fan cooled lamp 24v - 250 watt ehj twin lamp folding folding dimension (lxwxh) & weight 430 x 320 x 115mm / 9kg. Approx power cable detachable power cable lamp safety hi-low intensity switch safety feature not required projection distance 1. 4 to 2. 2 meters accessory suit case, vinyl cover, writing pack etc packing vip suit case optional accessories ohp stand, cellophane roll, ohp mount, laser pointer, halogen bulbs, plywood cabinet, transparency making kit, ohp trolley, projection screen, slide attachment etc. 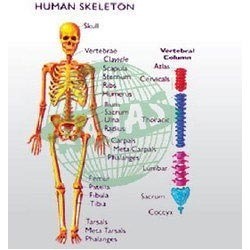 Human skeleton model - skeleton on stand showing very correctly details of all the structures. Dissectable in seven parts on stand. Human Ear on stand showing very correctly details of all the structures. Dissectable in seven parts on stand. 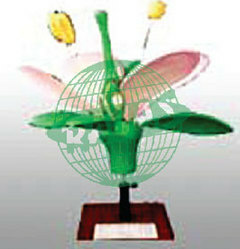 We offer range of models made of fibre glass or PVC material which is non breakable type light weight easy to handle naturally coloured, fixed on wooden board with key charts. In this chart the effective illustration of skull with various lobes facilitates the student to quickly grasp the subject. 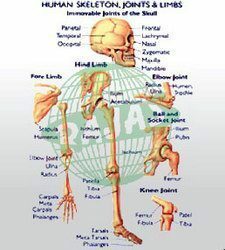 The movable joints of hand and leg are shown in natural colours to hold the attention of students. 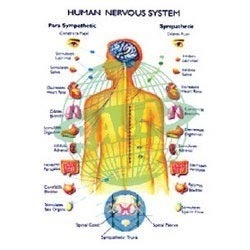 A highly informative chart with exciting presentation of parasympathetic and sympathetic nerves originating from the spinal cord and acting upon different vital organs of the body. Medical Microscopes - A multipurpose projector for 35mm film strips, 2"x2" kodachrome slides and microscope slides, built in beautiful cabinet with superior lenses, 300 watts projection bulb and electric motor with fan fitted below the projection lamp for cooling. Complete with metallic carrier. Our company offers a wide range of human ear chart, which gives the full details of the ear & its various parts along with its functions. Our range of charts are best suitable for the user who want a detailed knowledge of various functions of the human ear & its parts. These charts are well designed to give in depth details of ear and its functions. The internal & external parts of the ear are described neatly and clearly. The human ear chart are well designed to give a closer view of the parts of the ear with sharp color and clear picture. 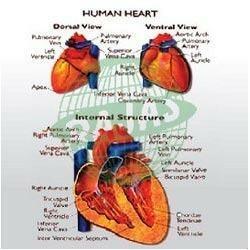 These charts are best suitable for schools, colleges, research centers and other organizations. Available in the english language, our range of charts have the sizes of 50x75, 100x75 cms, which give the chart a big & clear look to understand the functions of the system very well.